The bathroom seems to collect things faster than other rooms in the house. 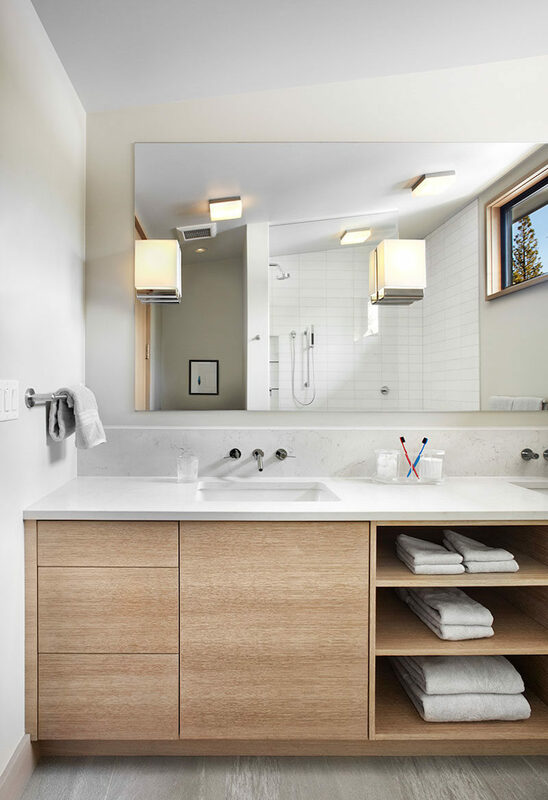 Half empty bottles of shampoo line the edges of the bathtub, tooth brushes are tossed into a cup beside the sink, and hair products, face creams, and ointments gather in a bin under the sink. 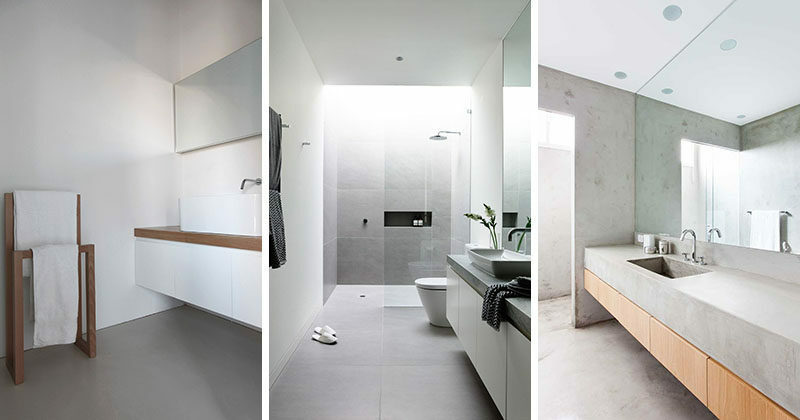 If this all sounds familiar, maybe it’s time to transform your bathroom into a minimalist oasis. 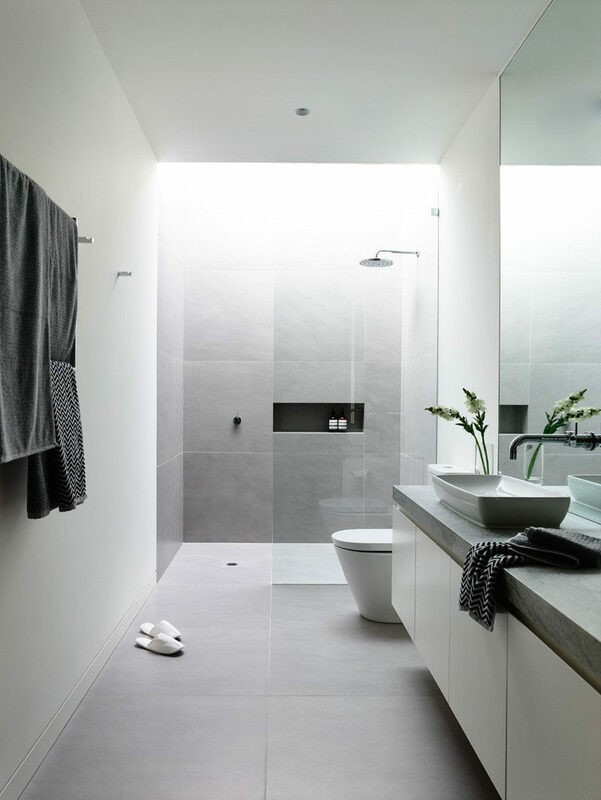 Here are six ideas to help you make the change and inspire you to declutter your bathroom. Use neutral colors, like white or grey, for the walls and scatter other neutral tones throughout the space as accents. 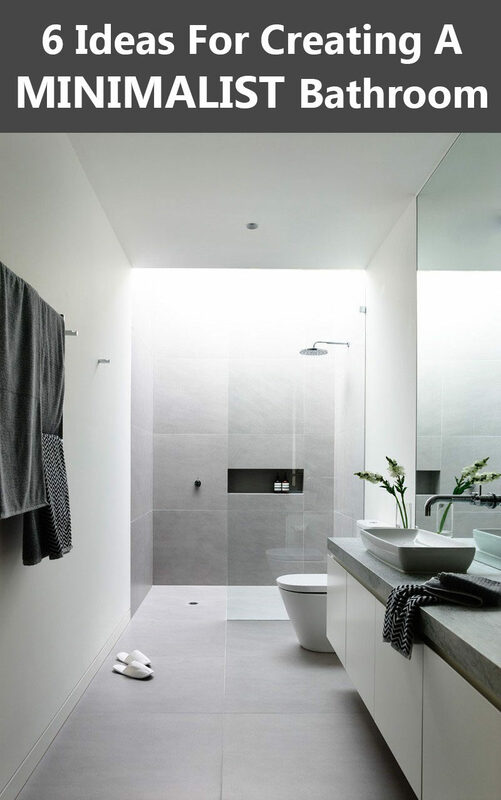 This keeps the bathroom feeling open and bright even if you have no windows and enhances the natural light if you have some. 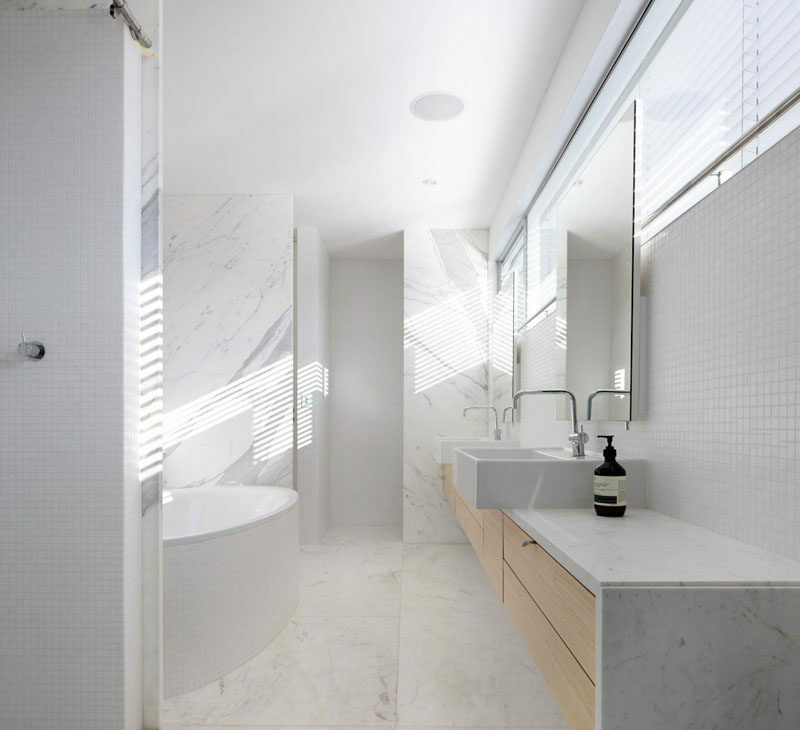 Designed by Edward Szewczyk Architects. Photography by Justin Alexander. See more photos of this project, here. Architecture by Contaminar Arquitectos in collaboration with Frederico Louçano, Margarida Carrilho, and Hugo Rainho. Photography by Fernando Guerra – FG+SG architecture photography. See more photos of this project, here. Clutter is a minimalists worst nightmare. 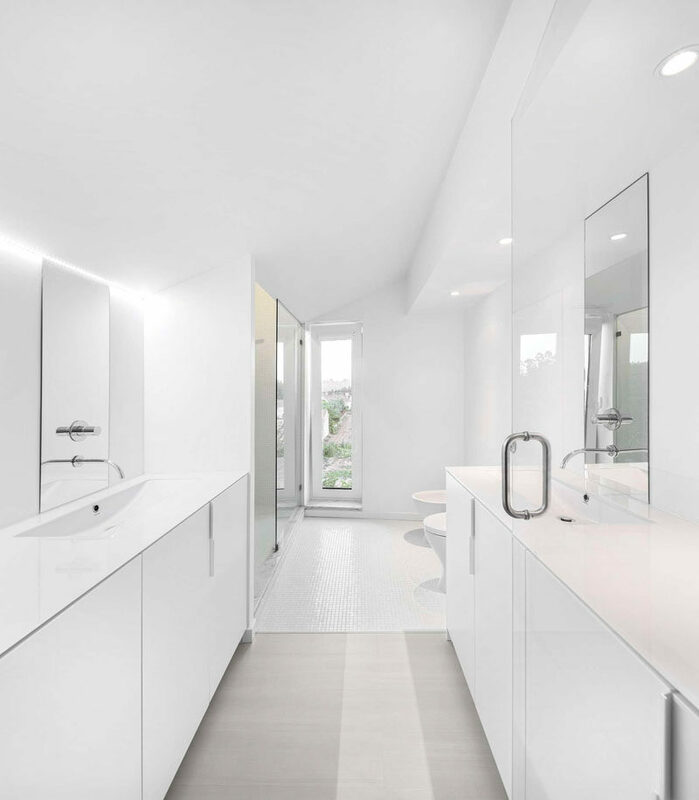 The key to achieving a minimalist bathroom is to eliminate the clutter. This means no more toothpaste tubes strewn across the counter, hair brushes tossed into overflowing baskets, or excessive decor perched strategically on shelves. 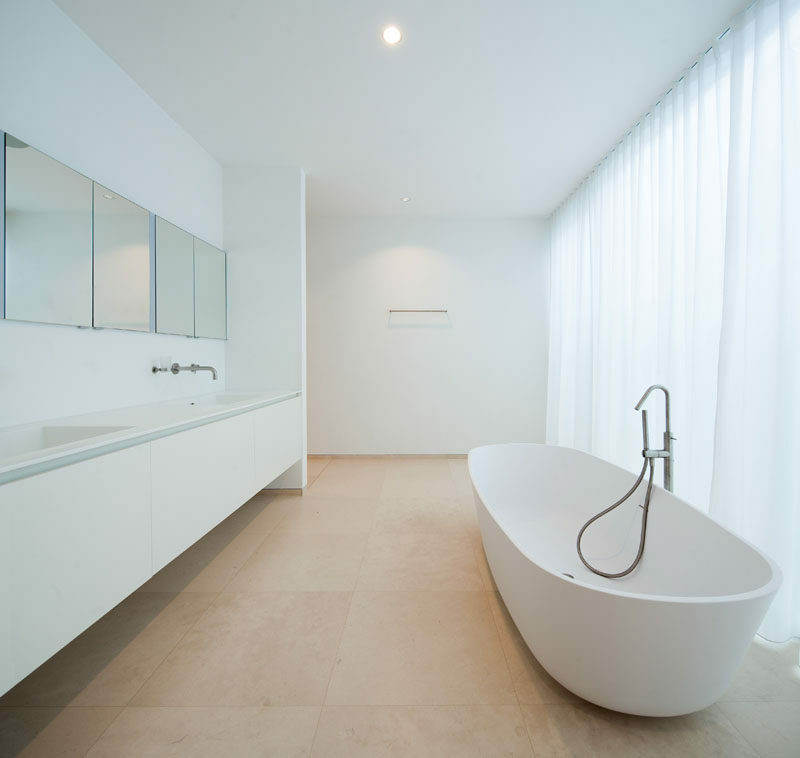 Designed by Architekten Wannenmacher + Moeller GmbH. Photography by Jose Campos. See more photos of this project, here. 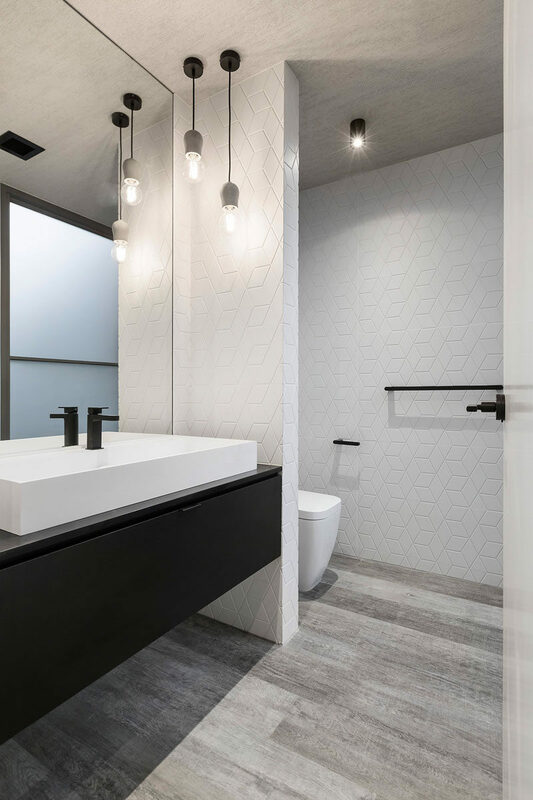 Even though the walls should be kept fairly light, bringing in darker elements, like black hardware, can make a bold statement without bringing in unnecessary objects. Designed by Amee Allsop. Photography by Glen Allsop. Designed by LSA Architects. Photography by John Wheatly | UA Creative. See more photos of this project, here. 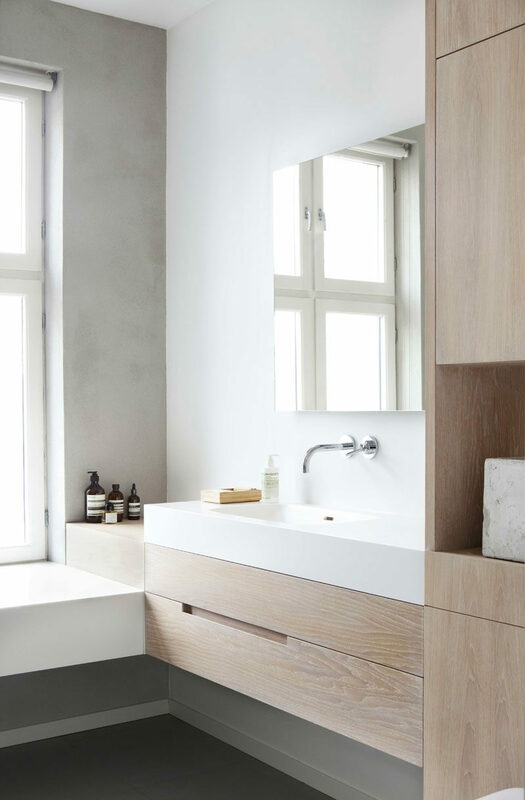 Adding touches of wood or concrete to offset an all white bathroom adds texture and warmth to the bathroom while keeping a simple aesthetic. Designed and photographed by Borja Garcia. Designed by Felipe Hess. Photography by Ricardo Bassetti. See more photos of this project, here. Just because you have the extra storage space, doesn’t mean you need to fill it completely. 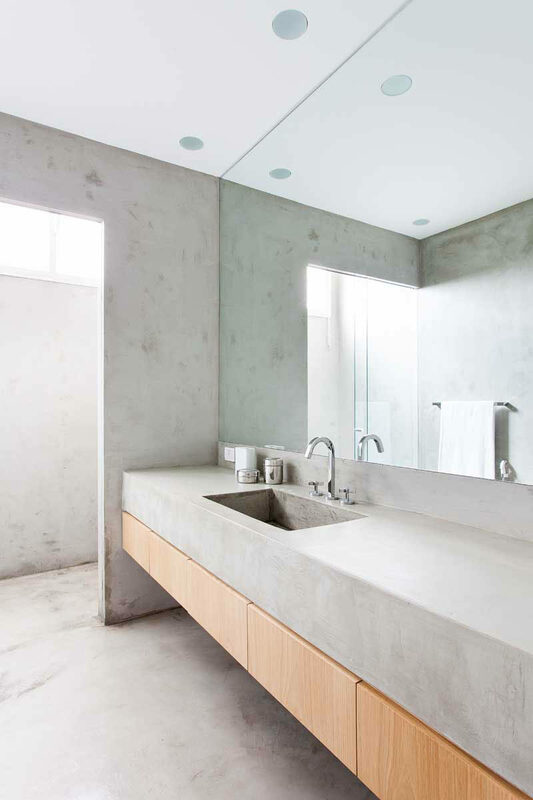 Keeping empty space empty and only using what you really need is essential to achieving minimalism in the bathroom. Designed by sagemodern. Photograhy by Lisa Petrole Photography. Designed by Canny for Lubelso. See more photos of this project, here. 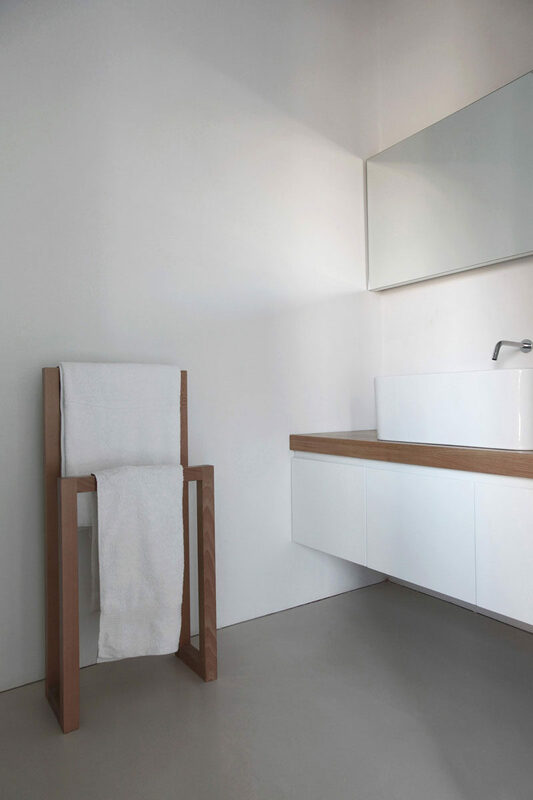 Anything you bring into your minimalist bathroom should be both beautiful and functional. There’s no room for things that don’t serve a purpose. 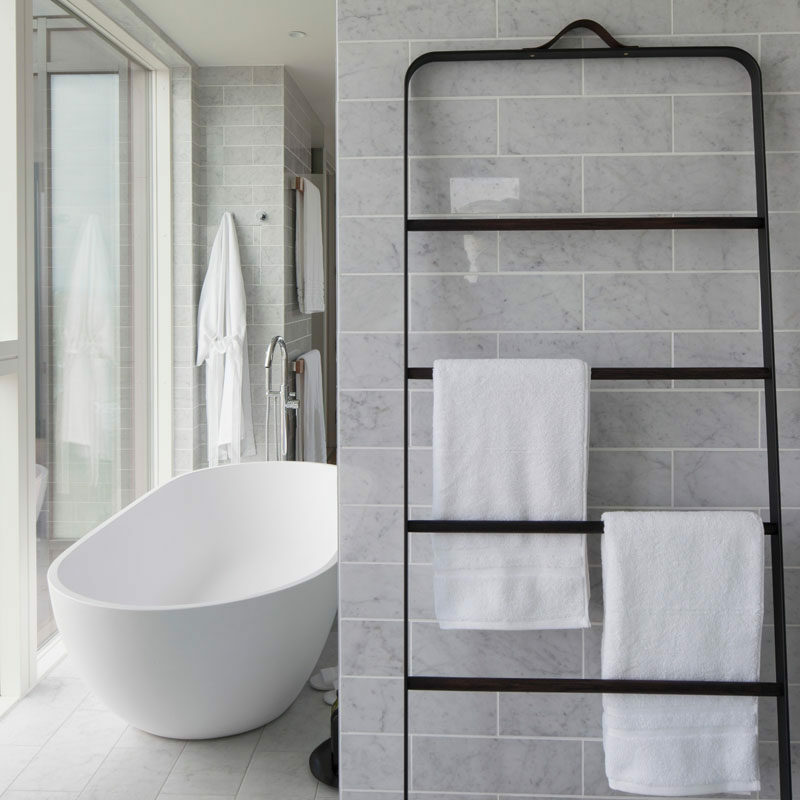 Make sure that even the simple things, like a towel rack or a soap bottle, perform their function beautifully. Designed by Amos and Amos. See more photos of this project, here. Designed by Haptic Architects. Photography by Simon Kennedy and Inger Marie Grini. See more photos of this project, here.